Absolutely. 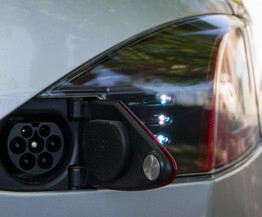 As an engineer and a tech nut, everything about the Model S is appealing. If it's not the giant central touch screen that wins you over, it'll be the enormous amount of torque on offer. If you want to know what it feels like, think Tower of Terror at Dreamworld on the Gold Coast. While it's not quite as fast, the relentless torque is the same. Don't buy a Tesla Model S if you're a jealous lover. Everyone wants to look and they literally almost fall over themselves as you drive by. LED running lights, big alloy wheels and sleek lines help distinguish it from the rest of the pack. The interior is pretty impressive, especially the huge centre screen and backlit speedometer cluster. There is a heap of interior storage space both at the front and rear. Being an electric vehicle, there is no need for an engine in the front or the back, so both are used as generous storage spaces. There's also a flat floor, which is handy for leg room. 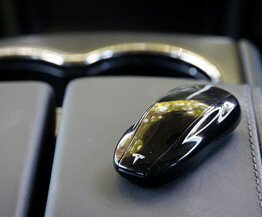 Google Maps integration and mobile internet is at the heart of the Tesla Model S's connectivity with the outside world. Traffic updates and internet radio streaming all work via an aerial that connects to the cellular network over 3G. This same network is used to download firmware updates. 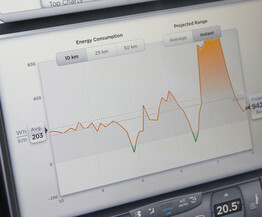 Better still, the Model S can also connect to your home WiFi network to save on data costs. While it's not really annoying, you do miss the rumble of a V8 or induction noise of a turbocharged petrol engine. I also really want to see 4G mobile connectivity. Absolutely. There is a heap of interior room and while it's not available in Australia at the moment, overseas models come with the ability to option a third row of seats, meaning that you can happily accommodate seven. Actually, almost none at all. Being that there is no petrol engine, servicing requirements are virtually nil. 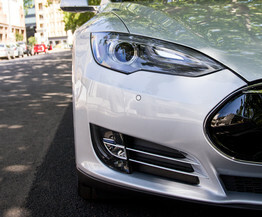 Tesla recommends that owners come in once a year for servicing, but they won't kick up a stink or void your warranty if you don't come in at all. The warranty is interesting. Tesla starts with an eight year, 200,000km warranty on the Model S 60 and it goes all the way up to an eight year, unlimited kilometre warranty for the Model S P85. But, the vehicle and driveline only come with a four year, 80,000km warranty. This could be serious. Tesla is a company that is totally kicking goals and being a first adopter would be right up my alley. Mind you, I would probably wait for shim's younger and faster sibling, the Tesla Model S P85D to hit the market later in 2015. It features dual electric motors and all-wheel-drive, making it the fastest four-door sedan in the world (both electric and petrol). Hmm...the thought of a BMW i8 or i3 is appealing, but the Model S ticks all the right boxes. It's big enough, fast enough and beautiful enough to keep me happy. I would also recommend the Tesla Model S to anybody serious about being green and doing their bit for the environment. 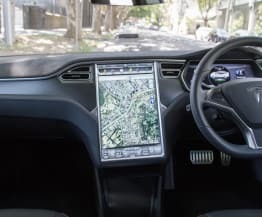 Tech nuts will love everything about the big central LCD screen, the future potential of Tesla's autopilot technology and the fact you can have speed/practicality and environmental friendliness all in the one package.